Although Heidi and Nathan Anderson grew up in two different states—he in Minnesota and she in Wisconsin—they had similar upbringings. Both came from close-knit, hard-working families of six. Both had parents who had to work two jobs at a time to make ends meet. And both struggled from time to time with hunger. It was an upbringing that made them grow into adults who knew to appreciate what they had. 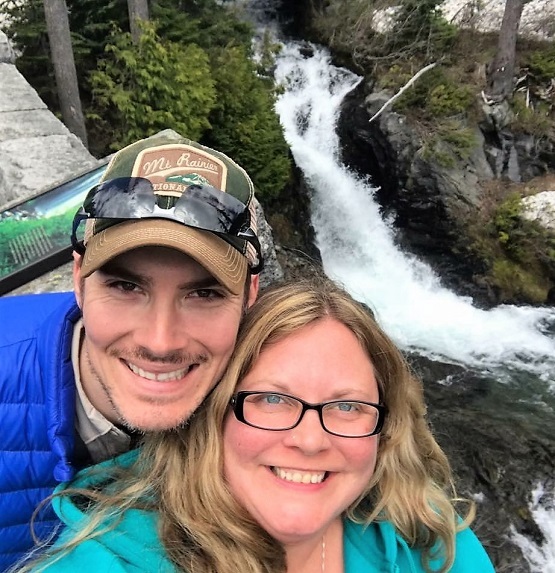 Gratitude was one of the many shared values that made Nathan, an IT worker, and Heidi, an MRI technician, a perfect match on the dating website where they first met. Heidi and Nathan began giving random monetary gifts in 2009, shortly after they were married. Yet they still felt a pull to do more. When Heidi’s then employer, Hennepin County Medical Center (HCMC) launched a monthly giving campaign, she and Nathan decided to join. Although she no longer works for HCMC, she continues to have a monthly gift deducted from her bank account. Heidi said it’s exciting to see where their money is going and how it’s helping feed more people in need in her community. Becoming a Monthly Giver is an easy and convenient way to bring hope to kids, families and seniors this holiday season and all year long. All you have to do is sign up. Find out more about how you can help.